Modern Kleinian Therapy is a model of effective psychoanalytic work that offers relief to deep internal conflicts by establishing and maintaining analytic contact, and beginning to unravel, modify, and heal turbulent and torn minds. This book defines Modern Kleinian Therapy as a modality for treating severely affected patients in a fairly traditional psychoanalytic manner, even when the environment or frequency of sessions are compromised. Chapter by chapter the book provides detailed clinical material to illustrate the complex dynamics that unfold when working with more closed off patients, and each case report shows the often limited clinical situations that the contemporary analyst must contend with. The book's detailed material serves to emphasize the nature of psychoanalytic work with individuals and couples, who otherwise rarely find their way to healthy attachment or reciprocal whole object relational harmony. * The value of analytic contact. 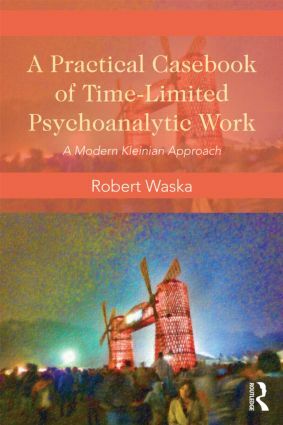 A Practical Casebook of Time-Limited Psychoanalytic Work: A Modern Kleinian Approach introduces new aspects of Kleinian work and offers a contemporary view on Kleinian techniques and concepts. It will be valuable reading for psychotherapists, mental health workers, and psychoanalytic therapists.